1.Material: Electronic components + plastic. 2.Easy to Use: Simply clipt onto your hair, with ON/OFF switch easy to turn off and on. (Battery inclueded). 3.Eye-Catching Fiber-Optical Plait: Become the center of attention at the party. 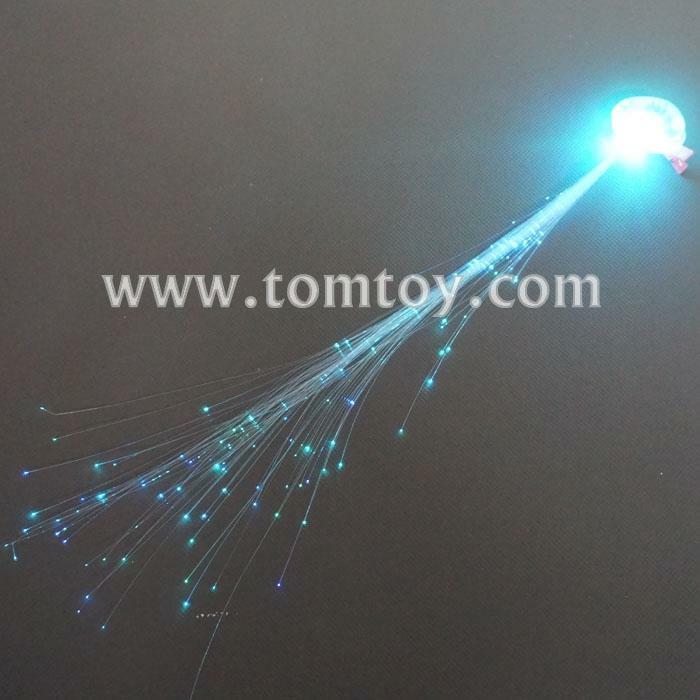 5.Package Include: 1 pc random color Led Fiber Braids.